Who says that healthy living is about spending so many hours at the gym only? In fact, there are many things about healthy living tips that can help us to receive a healthier body and mind. 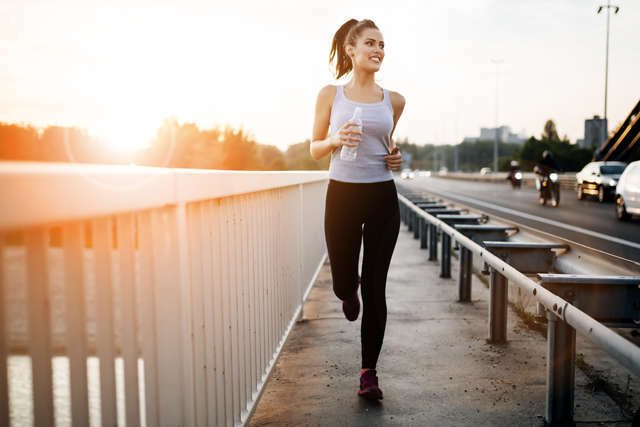 Now that you decided to live a healthier life, it is a good idea to learn some tips that can help you to stick on your new healthy lifestyle. But, there is one thing to keep in mind: it is more than exercising and eating. Well, healthy eating and exercise are truly the part of having a healthy lifestyle. However, it is not only about that. The point is actually to make a change permanently to your daily habit. It means for you to make healthy change every single day even though it is only a small healthier chance. So, are you ready to live a healthier life? Check the tips below then! The first and foremost is to move! Not just once when you remember, but you need to move whenever it is possible for you. 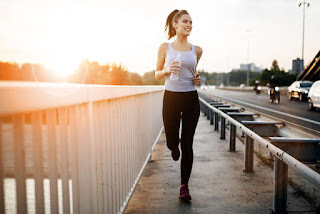 Even though a set of workout session will be a great thing for you, you are able to burn more calories in various other ways such as walking to your colleague’s desk instead of sending them emails, parking a way further from your building and then walking and so on. There are more other small things that can help you to stay active like taking the stairs instead of the elevator, doing gardening or house cleaning, taking your dog for walk in the morning or cycling with your kids rather than watching TV together. One of the tips to be healthy is to be active like what we have learned above. Sitting is a way passive and considered causing various health issues. Well, there is no doubt that we spend our days sitting, at the desk when working, in front of the TV and so on. New study found that there is possible health risk rising from our sitting behavior. As a result, it is recommended to break our sitting time by standing up for a few minutes so that we can at least prevent the potential risk of sitting too much. Once in a while, you can also do stretching right at your desk to make sure that your muscles do not get strain. Remember that diet is not always about lowering your weight. A healthy diet is able to keep your body and mind healthier too. When it comes to eating habits that are healthy for our body, actually there are a lot of theories conflicting about this one. On the other hand, what every expert agrees is that we need to avoid diet that is rich in sugar and has such big portion. Instead, it is recommended to eat various kinds of whole natural foods so that our nutrients needs are able to be completed. As you read many other healthy living tips, you may find that you are supposed to limit your intake on sugar. Here, this article will tell you the same thing. It is no secret that an eating habit that involves too much sugary intake both in food or beverage is not healthy. It is even likely to be linked to various health issues including obesity, diabetes and heart disease. As a result, it is recommended for you to avoid eating too much sugary drinks and foods. When you have a packaged food, remember to see the ingredients and try your best to avoid one that is made of artificial sugars. Sipping a cup of green tea in the morning or during your coffee break will be a good idea to keep you hydrated. You must have known that more than 60 percent of your body is formulated by water. That’s why it is recommended for us to stay hydrated by drinking enough water every day. In addition to clear water which is known to provide so many health benefits, you can also consider drinking tea especially those who are known to offer high antioxidant like green tea. If you love to drink wine, you can actually drink that beverage too for your health as long as you drink it moderately. It is another how to do the healthy life. There is no doubt that our body and mind need to rest and one of the best ways to rest is by sleeping. It is important for you to have an enough sleep every night. Having enough sleep has been known to offer you various advantages like to improve your ability to make a good decision, to maintain healthier skin and so on. To make sure that you can get enough sleep every night, it is suggested that you go to bed and wake up at the same time every day. Then, you may need to avoid eating foods that can keep you awake like caffeine. Remember that your health is not only about your body health, your mental health counts too. It is recommended for you to do things that can help you enjoy your life. You can do medication or yoga to get relaxed from the hustle bustle of life. You can also simply do your hobby and get happier when you want. You can also consider creating a ‘me’ list which shows you a list of things that can make you healthier and happier. You can put grocery shopping, enjoying hot tea with your friend and many other things on your list. That’s all a few healthy living tips that you are better to do now. To sum up, your health is not only about eating a healthy diet and doing exercises. You need to mind your mental health, do things that you love and don’t forget to have an enough rest every day.